Millions of lawsuits are filed annually in the United States alone, with the majority of these legal actions revolving around personal injuries. An individual injured due to another party’s negligence or recklessness can file a personal injury claim. 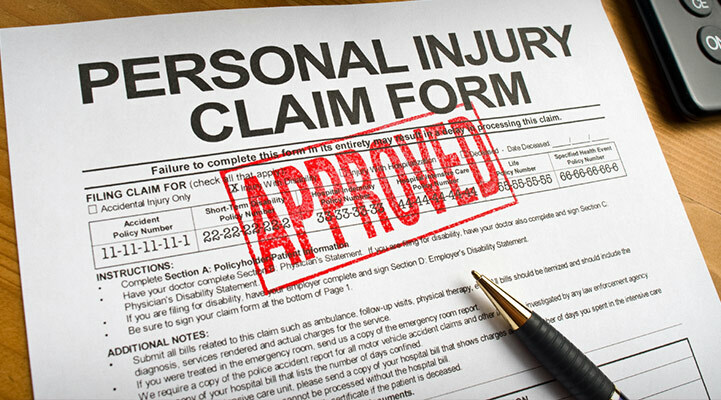 Here are the five most common type of personal injury claims. Medical malpractice lawsuits happen when a physician or healthcare worker fails to give skilled or competent care, thus resulting in a patient getting injured. This type of personal injury claims are complicated, and the plaintiff has to be able to prove that the hospital or doctor in question violated the expected standard of care owed to the patient and that any damages or injuries were the results of that negligence or violation. Plaintiffs would need to secure the services of specialists who can verify or prove damages. Since a medical malpractice claim is for negligence, it has two evidentiary steps. The first one is to show the medical industry’s accepted standards for medical care. The second is to show that the physician was negligent in following the medical rule when he or she treated the plaintiff. Thousands of injuries happen annually because of dangerous or defective products. According to the law, manufacturers, distributors, and sellers are required to meet consumer expectations regarding the product’s function and safety. If the product is defective or damages, the consumer can file product liability claims against the product’s manufacturer or distributor. The essence of a product liability claim is the failure in the development or application of a product. For instance, the motor of a hairdryer overheats and burns the users. Product liability claims are distinct as the burden of proof is on the defendant and not on the plaintiff. In short, the manufacturer has to conclusively prove that they were not negligent in the development of the product. Slips and falls are one of the most common kinds of personal injury cases. These cases occur when an individual slips and fall on a sidewalk, inside a private residence, or in a store and results in an injury. Property owners (or those who are renting a property) have a legal obligation to ensure their area is safe and free from hazards to protect the people on the property. However, not all injuries that happen on a property can result in liability. The owner’s specific legal duty varies based on the situation and state laws. Vehicular accidents comprise the bulk of personal injury claims in the US. It’s not surprising considering that the Centers for Disease Control has estimated that more than two million people get injured yearly due to car crashes. Car accidents happen for many reasons, like distracted drivers, recklessness, not following road rules, poor weather conditions, and road maintenance negligence. You could be eligible for compensation if you were in an accident that was not your fault. Make sure you see a doctor even if you’re not physically injured or you feel fine. You might have internal injuries. A careless or reckless driver is typically held financially and physically responsible for damages or injuries that resulted from a car accident. But when filing for compensation, you’ll be required to prove that the other party’s negligence indeed caused the crash. Your claim would demand a thorough investigation to be conducted. Personal injury attorneys Jacksonville FL will advise you on how to go about filing your lawsuit and assist you in securing all the necessary paperwork. A company’s workers compensation covers a lot of work-related injuries or illnesses. But there could be grounds for a personal injury claim if an employer’s intentional misconduct caused the accident. After all, your employer is legally obliged to ensure that employees are working in a safe and healthy space. File a workman’s compensation claim as soon as you develop an illness or sustain a work-related injury. However, this claim would require that the employer knew that the worker’s condition was dangerous and could result in an injury. The focus on this type of lawsuit is more on whether the employer was aware of the risks involved and not on the number of accidents that previously happened. You will need the services of an experienced Jacksonville personal injury attorney when filing personal injury lawsuits. A seasoned personal injury lawyer will help determine whether you do have a case and assist you in ensuring that the parties responsible for your injuries are held accountable.